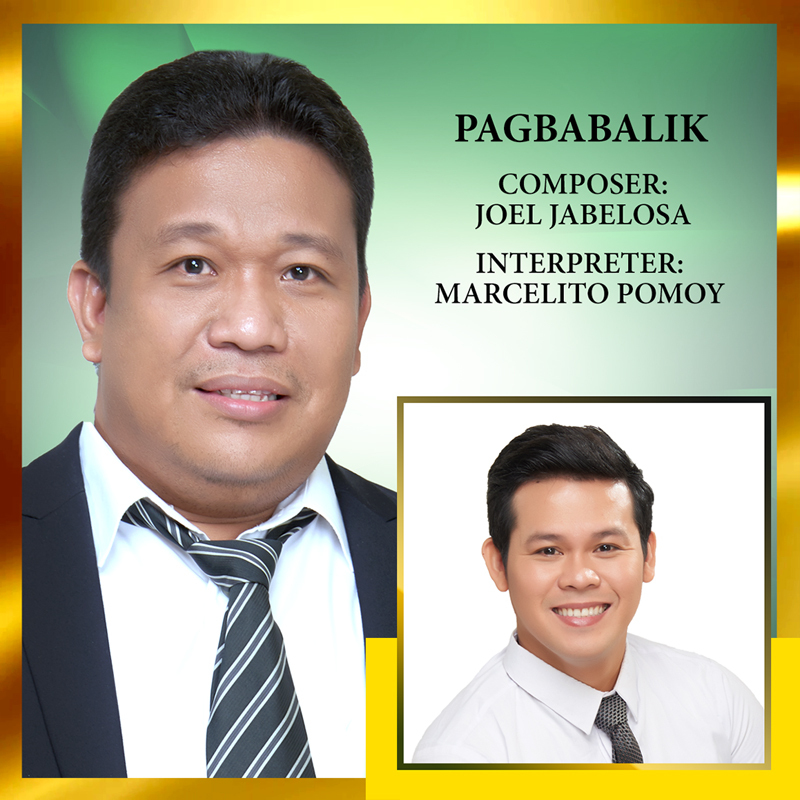 Finding his way back to God, aspiring songwriter Joel Jabelosa gets his heart back on track with his worship hymn “Pagbabalik”. Inspired by the songwriter’s personal experiences, the worship hymn is a heartwarming confessional of his reconciliation with God after 20 years of straying away from His love. In writing the lyrics, he found himself crying over its verses and chorus lines as notes keep threading through his heart. Then, he worked on rewriting the song — rearranging its lyrics and melodies. Pilipinas Got Talent Season 2 grand champion Marcelito Pomoy is set to render his take on the gospel song.